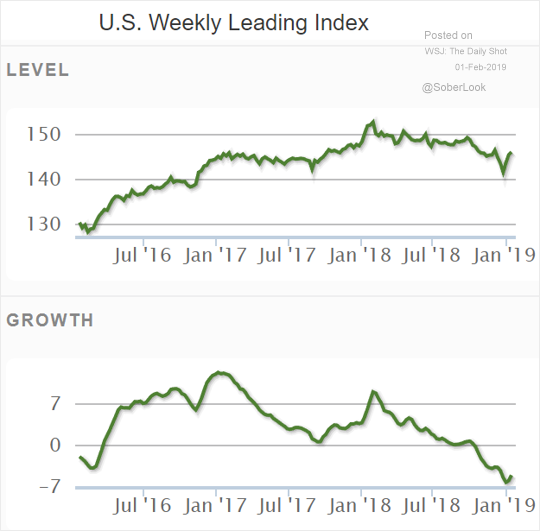 The United States: The ECRI leading index of economic indicators appears to have stabilized as well. 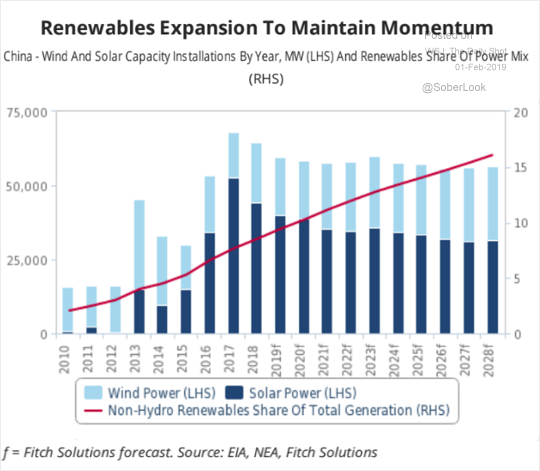 China: China is expected to keep growing its renewables capacity. 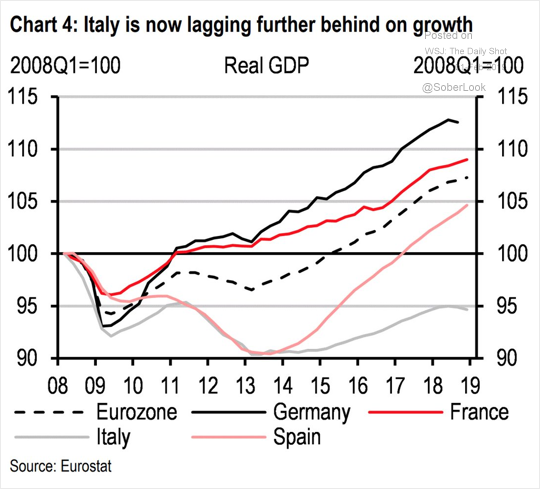 The Eurozone: Italy’s underperformance has worsened. 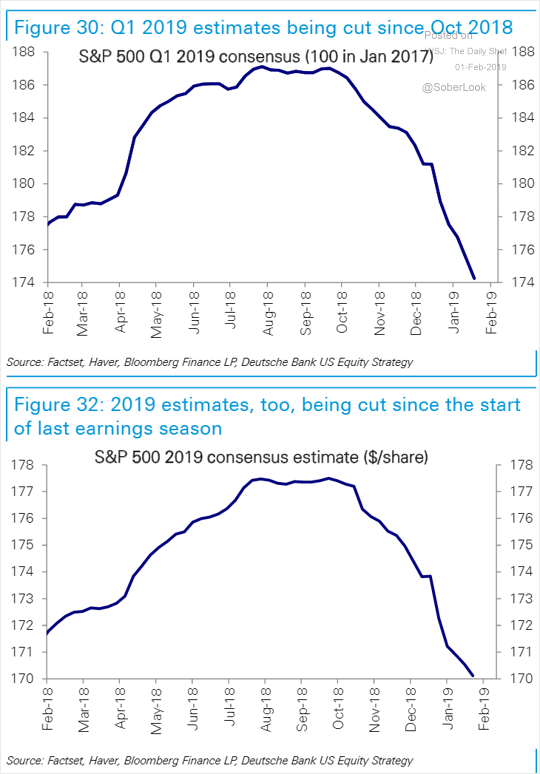 Equities: The 2019 earnings estimates for the S&P 500 keep moving lower. 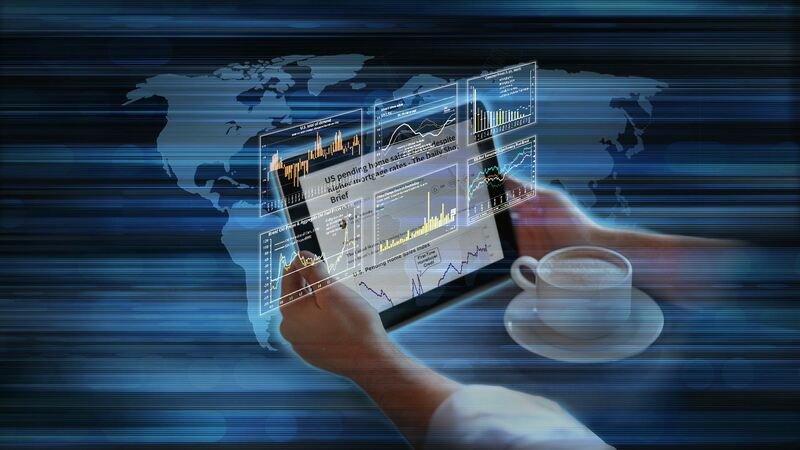 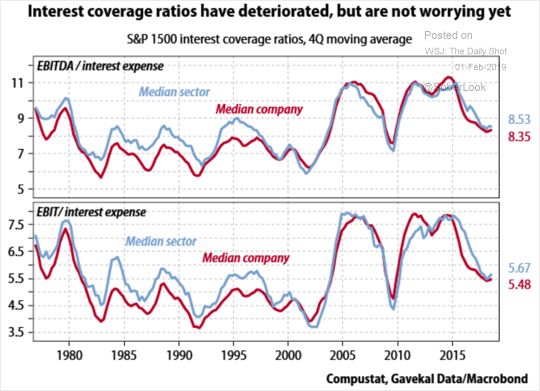 Credit: Overall, interest coverage ratios are still manageable. 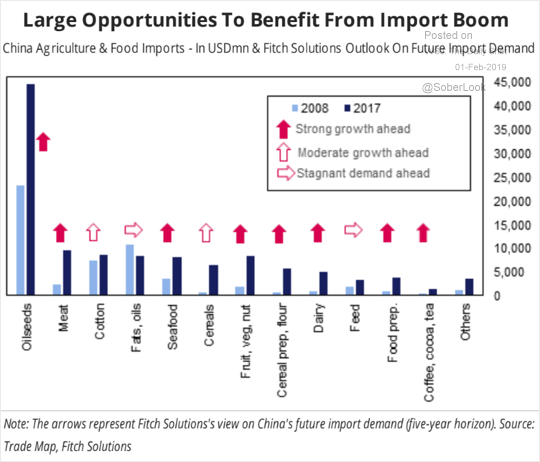 Commodities: This chart shows growth expectations for China’s agricultural product demand.